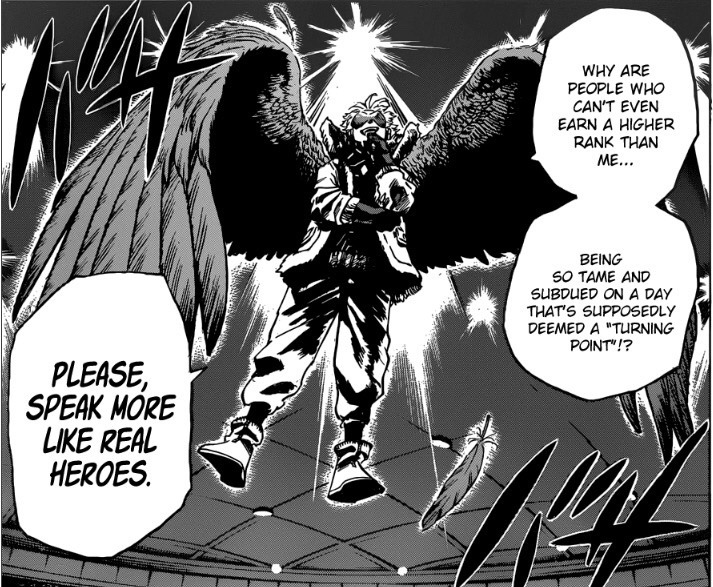 Hoshikori loves his greek mythology for example the name of the prison all for one is put into, so I definitely believe Hawks could be the Icarus of the story. Not to mention, he’s very flashy with those wings of his. Edited by shadowfire, 08 June 2018 - 03:25 PM.